Have you ever imagined living in another time and place? Finding out more about daily routines in the course of recorded history through the words of historians who chronicle the story of human experience are invaluable to the present day reader. Another useful aid is a publication(s) from the actual time period which documents the doings of a person, place, or object first hand. With this in mind, and more specifically, materials that allow for personal reference from an annual perspective such as directories, yearbooks, and most notably almanacs provide the researcher with useful data to learn from by word and number alike. 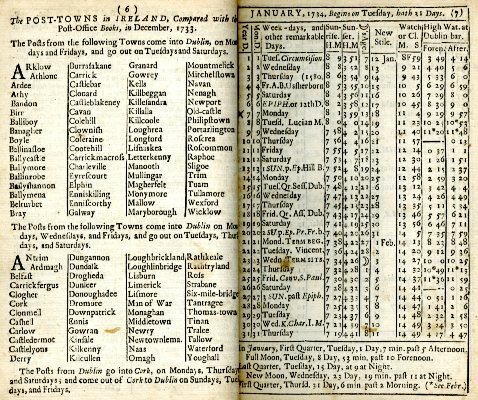 An “almanac” (or “almanack” or “almanach” as they are sometimes referred to) by definition is an annual publication that provides weather forecasts, tide rates, astronomical data, and other relevant information in tabular form. 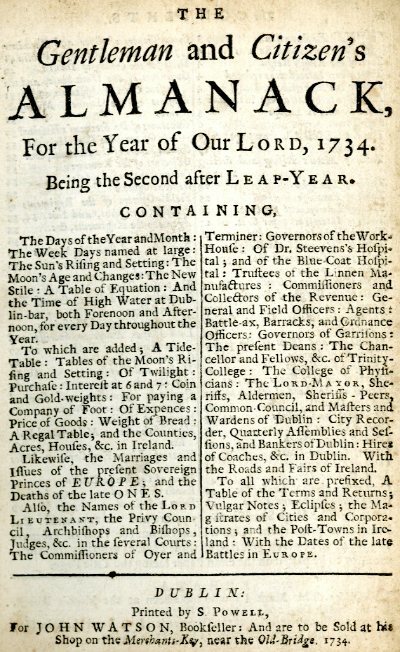 Modern day almanacs have evolved to include various statistical and descriptive information such as economics, government, religion, and political results among other subject areas that touch not only upon local communities, but national and world issues in brief line item and/or summary form. The earliest known almanac published in the “modern sense” was the Almanac of Azarqueil written in 1088 by Abū Ishāq Ibrāhīm, al-Zarqālī in Toledo, al-Andalus. There have been several subsequent examples from here as found in different countries, languages, and specializations. One example of an international almanac found in our collection can be located in our rare book collection if you look back 280 years ago at a far different world than the one of today. This volume entitled: The Gentleman and Citizen’s Almanack, For the Year of Our Lord (Dublin: S. Powell, for John Watson, Bookseller to be sold at his shop on Merchants Key, near the Old Bridge, 1734) is a tome that provides a look at 18th century life in Ireland. This book provides a traditional format with the following array of categories found in the index: “Tide Table, Table of Twilight,” “Table of Coin and Gold Weights,” “Table for a Company Foot,” “Table of the Price of Goods,” “Table fo the Weight of Bread,” “Masters and Wardens Quarterly Assemblies,” “Roads of Ireland,” “Fairs of Ireland,” and others. The attached illustrations provide further details on how the consumers of that day and contemporary readers can relate alike can relate to the facts and figures found here including postal service and its value for communication links before cell phones and twitter for example. This particular publication provides an every day look at life in an Ireland that goes beyond the essay alone. This and other Irish “almanacks” from 1732-1838 and other books on the Irish experience both reference and beyond can be found here in the Monsignor William Noé Field Archives & Special Collections Center. For more information contact Alan Delozier, University Archivist at: Alan.Delozier@shu.edu, or (973) 275-2378. Here in the Archives, most of our material is paper-based. We have more than 4600 linear feet of archives and manuscript materials in our Vault, amounting to millions of pieces of paper, strips of film, objects, and other tangible things available for research. What about all the things that can’t be touched? 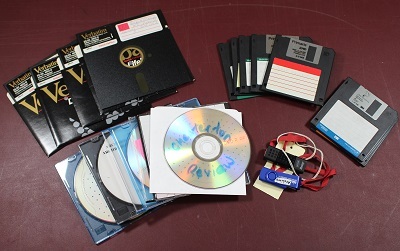 More and more electronic materials are appearing in the collections we take in, and are being created by the organizations whose records we preserve. At Seton Hall, there are records of historical significance in emails, databases, websites, shared and co-edited documents, spreadsheets, twitter feeds, and cell phones. Archives exist to collect the materials that uniquely document their organization, and in the 21st century, a lot of those documents do not exist on paper. Many times, people assume that once something is in saved on the computer or posted on the internet, it’s forever. At least, it always seems that way when there’s an embarrassing photo out there. 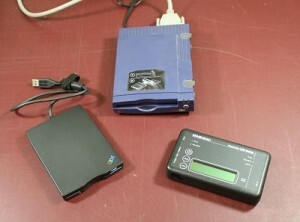 But in fact, if you’ve ever lost some work to an ill-timed battery failure or the fall of a laptop, been frustrated by a dead hyperlink or a 404 Not Found error, or just plain been completely unable to find that file that you KNOW you saved, you also know that plenty of electronic records are lost all the time. If you’ve tried to open a document or photo in the wrong program or operating system, or found an old floppy disc with a label like “Important Papers,” you also know that even being able to find an electronic record doesn’t mean you can actually use it. So what are we doing in the Archives to make sure that the important records of our time will be saved for the historians and students of the future? Digital preservation is the term often used in libraries and archives to refer to saving these materials. In an archive, just as we are very particular about the order of papers in boxes and folders, the types of folders and boxes we use to store those papers, and the way those materials are described, we are also very careful about digital preservation practices. Archival digital preservation is about a lot more than getting extra cloud storage to store more files; it’s about doing the best we can to make sure the files we’re saving now will still be readable and still look pretty much the same to the person who wants to use them in fifty years. We collect metadata, information about the files and records we’re saving, that describes not only the content, but the programs used to create and use the content, as well as checksums, information that can be used to see if a file has become corrupted over time. Steps can be taken to update files to newer formats so they can be used in updated software, called migration, or software can be maintained or replicated so files can be used as they were when they were created, called emulation. Websites and versions of websites can be saved and accessed offline, and some programs even exist to save and search across social media platforms. In the Archives and Special Collections Center, we are still planning out our program to collect and save some of these records. It’s a big job that requires many different programs and people working together, and nobody has all the answers just yet. So what can you do? Whether your papers and files ever end up in an archive or not, there are some simple things you can do to keep track of your electronic records and make sure you can find what you need when you need it. Come up with a simple way of naming and organizing your documents, pictures, and emails that makes sense to you, then write it down and keep it somewhere easily accessible (which means not in the same place you’re storing your files!). Before you upgrade to a new computer or new phone, make a back-up copy of your important files and save them somewhere else, then make sure you can open everything in the new system. Schedule a regular time to clean out and sort your email inbox. Try to store things in more than one physical location, such as BOTH your computer and phone, as well as a cloud storage service. Take a look at what the experts have to say! The Library of Congress has an excellent set of resources to help you save your own and your family’s stuff, and the folks in the POWRR program have gathered resources to help you save your social media life. And if you want to help preserve more digital history, check out the resources at the National Archives and Records Administration’s Citizen Archivist Dashboard or help identify photographs posted on the Flickr Commons. A History of the Family of Seton during Eight Centuries is a two-volume work written by George Seton in 1896 that details the history of the Seton family back to the 10th century. 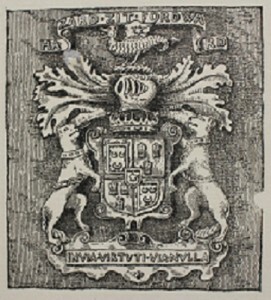 Drawing on an earlier work by Sir Richard Maitland, he traces the main line of the Seton family to its origin. A member of an old British family named Say moved to Scotland, where he adopted the surname Sayton or Seyton upon receiving a grant of land in East Lothian. The name has gone through several spelling changes since that time, including Setone, Setton, Settone, Seytoun, Seaton, Saeton, and Ceton, before Seton was finally adopted by all the principal branches of the family. 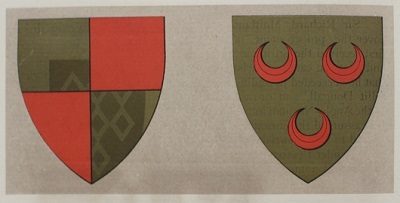 The first Seton whose full name could be found was Dougall de Seton, believed to be the son or grandson of the Anglo-Norman immigrant who first assumed the surname. Dougall lived during the time of Alexander I (1107-1124). 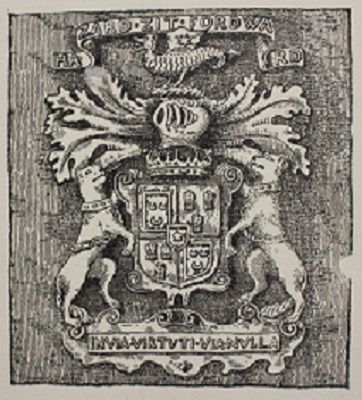 Although the family has had ties to Scottish nobility and high society through marriage since its beginning, the first Seton to become a member of the nobility himself was Sir William, the first Lord Seton. Sir William was a distinguished knight, who also became Premier Baron of Scotland and a Lord of Parliament. He appears to have traveled as far as Jerusalem, a significant accomplishment during the mid 14th century in which he lived. In 1763, seventeen-year-old William Seton, descended from a line of the family that resided in the county of Fife, Scotland, immigrated to the United States to find fortune. Within two years he established himself as a businessman in New York, importing goods from Europe and India. He was a loyalist during the Revolutionary War, but after the war remained in New York and became a citizen of the United States. 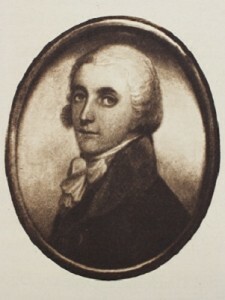 His eldest son, William, followed in his father’s footsteps as a successful merchant and businessman. 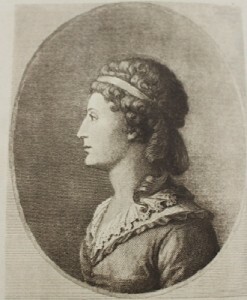 On the 25th of January 1794 he married Elizabeth Ann Bayley. After William Seton’s death in 1803, Elizabeth Ann Seton converted to Catholicism. She later founded the first order of the Sisters of Charity in the United States, and opened St. Joseph’s School, the first free Catholic school in the country. She was also the aunt of Bishop James Roosevelt Bayley, who decided to name Seton Hall College after her when it was established in 1856. Later, she was canonized as the first American-born saint. The Seton family can trace their history back eight centuries, how far back can your family go? The Archives has a number of great genealogy resources. One of our most-used collections is the Latter Day Saints microfilm of parish and cemetery records in the Archdiocese of Newark. 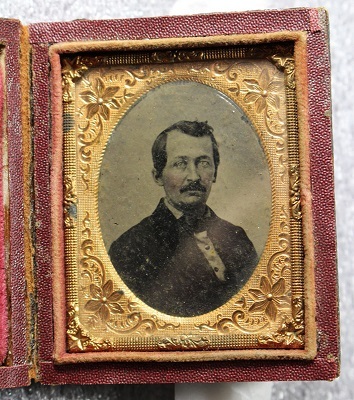 These microfilms largely consist of sacramental records and cemetery records which can provide key information to genealogists studying their family history. The films, which were made in the mid-1980s by the Latter Day Saints, can be viewed in the Archives by appointment, or can be ordered from Salt Lake City to be sent to a local LDS Family History Center. For more information about Family History Centers, visit the FamilySearch website. You can also request a search to be performed by Archives staff for a $25.00/hour research fee. For more information please visit our Genealogy Resources page, and have fun exploring your family history! Can you imagine what it would be like to only have one picture of your family? Or if your family only had one picture of you, and there was only one copy of it anywhere? Before photography was invented, the only way you might have an image of your loved ones was to have a picture painted or drawn, and even once photography was invented, it was a complicated and often expensive process. 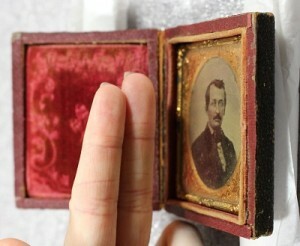 The daguerreotype (duh-GARE-oh-type) process was the first widespread photographic process. 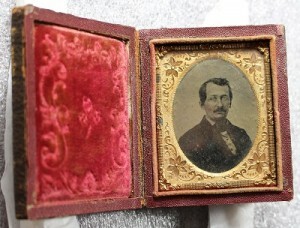 It was developed by Louis Daguerre in 1839. A piece of silver-plated copper was coated in light-sensitive chemicals, which created the photographic image when exposed to light in the camera. This piece of metal held the original image, which was very delicate and placed under glass for protection when viewing. 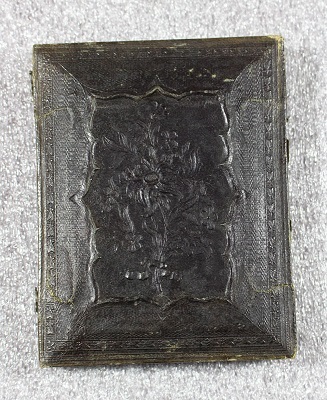 In order to both protect the image and to add rich decoration to this precious object, the photograph was usually put into a decorative case. This case could be closed and carried around, or propped open on a shelf. But each image was unique, and couldn’t be reproduced without being photographed again. Ambrotypes were created through a similar process, using glass coated in certain chemicals, then placed into decorative cases. 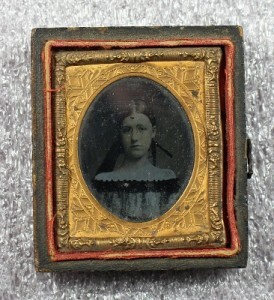 The difference is that while a daguerreotype produced a positive image seen under glass, ambrotypes produced a negative image that became visible when the glass was backed by black material. In fact, this main difference is also the most reliable way to tell ambrotypes and daguerreotypes apart: daguerreotypes are backed by shiny silver, while ambrotypes are backed by a piece of glass painted black. The daguerreotype appears to be on a mirror, so when viewing it at an angle the dark areas are silver. For an ambrotype, the dark areas remain dark even at an angle. Getting your picture taken was a special occasion, even for the well-off. People wore their very best outfits and jewelry. Because the process of exposing the chemicals to light could take a long time, people had to sit very, very still while the photograph was being taken. The solemnity of the occasion, and the need to sit very still, is why people sometimes look sad or uncomfortable in very old photographs. All photography was black-and-white until the end of the 19th century, but people often added some hand-painted color to brighten up the image. Very often, cheeks would be painted slightly pink, and buttons or jewelry would be painted gold. Adding color or decoration to the image, and placing it in a fancy case, emphasized the beauty, importance, or wealth of the person photographed. 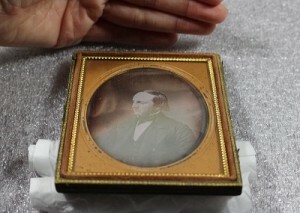 In the Archdiocese of Newark photograph collection, we have a very few daguerreotypes and ambrotypes. The individuals in these images are not identified, but these photographs must have been precious to their families, which we know both from understanding the history of photography and the fact that these photographs survived to this day. Each of these images is unique, and was likely one of a very few, if not the only, photograph of these people their families may have had. We not only respect and care for these objects as fragile and delicate pieces of our history, but also for their beauty and for the people they so faithfully represent. Interested in learning more? 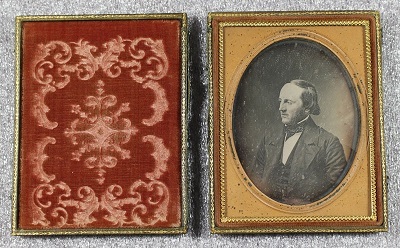 There are many resources on the history of photography on the web, including some that focus on daguerreotypes and similar processes. The Image Permanence Institute’s Graphic Atlas lets you compare and identify formats, or just explore fascinating images of different types. Daguerreobase includes a great deal of helpful information on identifying daguerreotypes as well as many beautiful examples. And for those who want to delve even further into the history of photography, this blog entry on Hunting and Gathering features e-book resources for you explore. 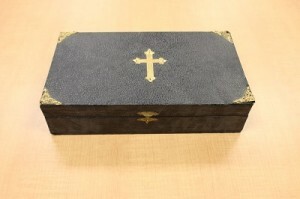 The Archives and Special Collections Center at Seton Hall is also the repository for the Archdiocese of Newark, and as a result we have many Catholic materials and artifacts. Some of the most interesting of these objects are those used in sacramental ceremonies and rituals. We have many examples of chalices, which are used to hold the Blood of Christ that is taken at Communion. This silver gilt chalice with gold finish was presented to Rev. Pierce McCarthy, former Vice-President and Treasurer of the College, by the students of Seton Hall College in 1870. Ciboria are also used during Communion. A ciborium resembles a covered chalice, and is used to store the consecrated host. This ornate ciborium from the 1920s is a beautiful example of a style that has virtually disappeared from use since Vatican II, when the church began to emphasize a simpler aesthetic. Sick call sets were used in the home when a priest came to give the sacraments of Penance, Holy Communion, and Extreme Unction to an ill or bedridden family member. These sets have become increasingly rare as it became less common for sick relatives to be cared for in the home. Some examples from our Archives include an elaborate set which probably dates from the late 19th or early 20th century. 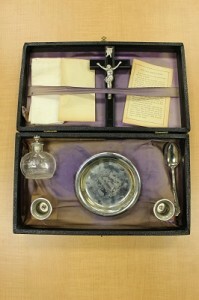 It consists of a beautiful wooden box which contains a candelabrum with crucifix and shell-shaped holy water font attached, two small silver plates, a silver-embellished holy water bottle, a dish for regular water, and a small silver-handled horsehair brush for anointing with holy oil. Also in the Archives is an Irish sick call set from around 1880, which was brought to the United States by a young immigrant. 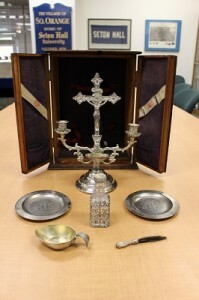 This set, stored in a black paperboard box with gold embellishments, contains a crucifix, two candle holders, a glass bottle for the holy water, a white linen cloth, and a spoon. To see even more objects from our Archdiocese of Newark collections, please visit the Religious Artifacts section of our Digital Collections page. How Do I Use the Archives? So you have an assignment to use the Archives. Where is it located? How is using the Archives different from using regular library materials? How do you get going? First, determine what your assignment asks you to do. Are you to find something specific in the Archives, or are you to choose a topic related to one of our collecting areas and come in to use the materials to research that topic for a paper or presentation in your class? Basically, we collect materials that maintain the history of Seton Hall University and of the Archdiocese of Newark. This includes papers of presidents, colleges, schools, departments and publications of Seton Hall as well as papers of bishops and archbishops, priests, parishes and offices of the Archdiocese. So could you come in and ask for materials on atomic energy? No, but you might be interested in student reaction to the dropping of the bomb on Hiroshima, and ask if the Setonian published during WWII and might have covered it. Could you ask to see books on the American Civil War or the 1916 Rising in Dublin, Ireland? Yes, but first you would want to limit your topics, and search on the Library website for key words that would lead you to books in that specific area. You might pick a particular battle in the Civil War such as Antietam, or a certain figure in the 1916 Rising like James Connolly. Search for titles, and any that say Archives, gather the references including title, author and call number. If you need help with the search process, a reference librarian may be able to help, or contact one of our staff at (973) 761-9476 or archives@shu.edu. To use the materials you need to make an appointment either in person, by phone or by email. Once we know what materials you need, and when you want to come in, we can get those materials from the vault, and have them ready for you in the Reading Room. We are open Monday – Friday, 9am – 5pm. Our materials do not circulate, so must be used in our Reading Room on the ground floor of Walsh Library, past the Beck Rooms, opposite the Gallery. Once here, you will need to store coat, bags and all materials in the front of the room. You may have paper and pencil [we provide pencils; no ink is allowed in the Archives as it might leave a permanent mark on archival materials.] and/or your laptop with you for taking notes. Our materials are old and fragile, and must be used with great care. No food or drink is allowed in the Reading Room. Cell phones can be used in the hallway outside. We have a photocopier available; most copies are $.10, payable in cash – we do not have a card reader. You will be provided with white cotton gloves if you are looking at photographs or negatives. By prearrangement, you may be allowed to photograph materials with digital camera or phone without flash. Once you have your topic and a list of resources, make your appointment and begin your research. It’s fun and easy. We look forward to your visits! October is Archives Month in the United States, but it also coincides with International Celebration month observances on campus. In the spirit of documentary preservation and global appeal alike, the presence of cultural diversity at Seton Hall has been a prime part of school history as the institution has hosted numerous students from all corners of the globe from its founding in 1856 to the present day. 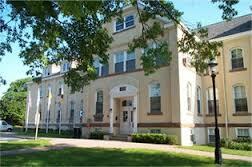 From a historical perspective, the sons (and later daughters from 1937 onward) of first and second generation Americans comprised the majority of student representation at Setonia especially during the formative years of the school and geographical transition from its first home in Madison to the present site in South Orange. Additionally, adolescents from neighboring countries formed part of this tradition in the making. 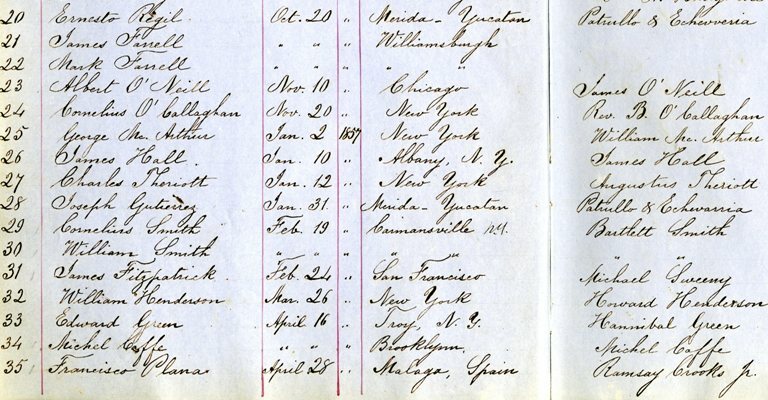 For example, the first student outside of American borders to make his mark in the registration ledger was Ernesto Regil of Merida, Yucatan, Mexico who enrolled at Seton Hall College in 1856. He was the 20th enrollee overall and he shared the first-hand experience of life on the Setonia campus with those who traced their ancestry back to Ireland, France, England and other European locales. Ernesto was followed the next year by other townsfolk from Merida including Joseph Gutierez, Francisco Plana, Lorenzo Peon, and Miguel Peon with the later two gentlemen being the first brothers from abroad to attend the school simultaneously. These trailblazers were followed by others from Cuba, Spain, France, Venezuela, and “Porto Rico” over the next three years. This success marked a steady trend of student émigrés who continued to attend Seton Hall over the next century and a half. As the twentieth century dawned and progressed with increased enrollment from across the world, the trend of Seton Hall and its international connections went unbroken even as the “Great War” and World War II posed a challenge to institutional stability. Enrollment increased several fold during the 1940s and after the school attained university-status in 1950, Seton Hall established a number of specialized centers shortly thereafter designed to help students and the community at large appreciate the cultural heritage of different national groups with ties to the campus. Counted among entities of this type that have been created over the last several decades include the Far Eastern Institute (now known as the Asia Center), Charles and Joan Alberto Italian Institute, Joseph A. Unanue Latino Institute along with the International Institute for Clergy Formation, Institute for International Business, and Institute for Near East Archaeological Research. Many student-administered organizations from the Adelante Club for Hispanic Culture, African Student Association, Asia Student Association, Filipino League Association of Seton Hall, French Club, Italian Student Organization, Slavic Club, South Asian Students Organization, and the West Indian Student Organization to name a few have thrived due to their specific appeal and service focus features that allow students the opportunity to share and explore their roots with their classmates and other interested parties alike. Beyond individual representation and club membership, cultural exchanges in the classroom were equally felt as classical and modern languages took place from the earliest years onward as part of the curriculum to help share texts and ideas on a closer manner if not geographically, then intellectually. Noted professors from abroad also came to the school and taught a number of classes in their respective specializations. History courses, anthropology, education and other specific class offerings cross-listed with such titles as: “History of Asian Philosophy and Culture,” Europe and the Atlantic Vista, 1500-1800,” and the “Diplomatic History of Latin America,” to name a few have graced our bulletins of information and general catalogues over the last century and a half. All majors and minors alike in their respective fields of study have benefitted from some type of worldview in the course of their schedule selection and ultimate educational path. The heritage of global interaction has increased dramatically especially with the growth of the United Nations and the call for those who want a career that literally explores the world in action. 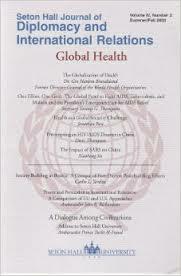 Therefore, those who chose to make global welfare a priority have contributed to the eventual evolution of the John C. Whitehead School of Diplomacy and International Relations formally founded in 1998. Collectively, the planet and Seton Hall remain in sync through these ties to the past along with a future promise of student interest in keeping the tradition of internationalism in all its varied forms alive and well on campus. 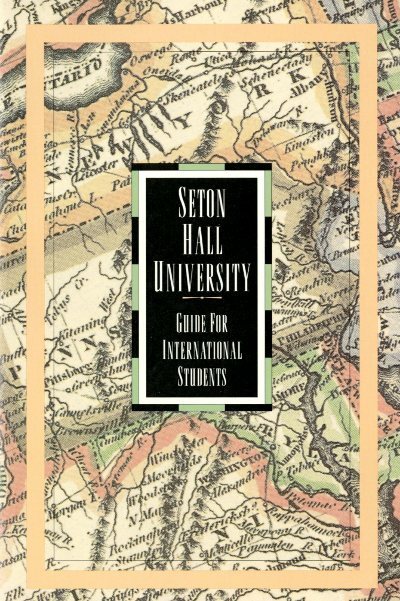 At the Archives & Special Collections Center we house various materials that document the international experience at Seton Hall from a number of different perspectives. It is our pleasure to share these resources with those who want to explore the cultural and national diversity of our student, faculty, and admnistraors over the years. For more information regarding collections relating to Seton Hall University history please contact: Alan Delozier, University Archivist – Alan.Delozier@shu.edu; (973) 275-2378. Thank you and bienvenue! We will have some objects on display, provide a tour of areas that the public usually does not see: the processing area and the Vault where the materials are stored. And you can enjoy some snacks and ask us questions about our work, and how you can use the Archives. We also have papers from the Bishops and Archbishops of the Archdiocese of Newark, priest papers, papers on offices, parishes and ministries, on the Seminary, and on Catholic New Jersey outside the Archdiocese of Newark. In our Manuscript Collections we have papers of some New Jersey governors such as Richard Hughes and Brendan Byrne, and other political figures including Bernard Shanley and Leonard Dreyfuss. There is a collection on Mother Seton and the Jevons family to which her family was related by marriage, and several collections in Jewish-Christian studies including the Msgr. Oesterreicher and Sr. Rose Thering Collections. We have rare books, mostly from prior to 1875, some from as early as the 15th century, and special collections in Irish literature and history, American Civil War, Arms and Armor, and more. 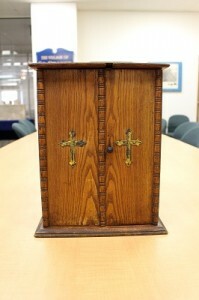 We also have objects related both to Seton Hall and to the Archdiocese. Come and learn about our resources and how you can use them to aid your studies or just to satisfy a special interest in a particular topic. We hope to see you in October, during Archives Month. Professor Connors Lecture, “World War I: A Centennial Perspective,” Wed, Oct. 8, 3 p.m.
Seton Hall University Professor Emeritus Richard Connors will commemorate the 100th anniversary of the outbreak of World War I with a lecture Wed., Oct. 8, 3 p.m. in the Walsh Library Archives Reading Room on the South Orange campus. “World War I: A Centennial Perspective,” will explore the military and geopolitical ramifications of the Great War that was supposed to be “the war to end all wars.” The public is invited to the free lecture. In conjunction with his lecture, Connors’ collection of World War I models, maps, books, posters and pictures are on exhibit at the Msgr. William Noé Field Archives and Special Collections Center in the University library.